This traditional binding is elegant in its simplicity. 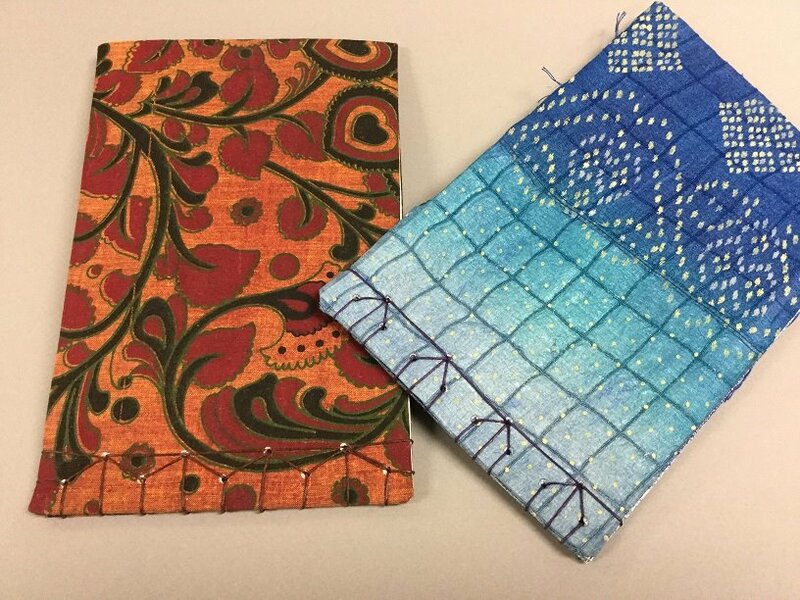 Participants will use fabric to make soft covers and then bind with ribbon or choice of artwork and decorated papers. There will be plenty of paper to choose from or participants are welcome to bring their own papers. This binding is for unfolded single sheets, making it outstanding for binding papers that you want to lay flat. Everyone will make the same size book: 8.5” x 5.5”, so choose artwork should be chosen accordingly. The binding is on the short size. Thin papers and thicker papers may be combined in the same book. The criteria for paper choice should be how the pages will turn once they are bound. IOW, extremely thin papers that may rip, and extremely thick papers that won’t bend enough to turn should be used elsewhere. This binding is frequently used as a photo album as well as a binder for sample artwork. 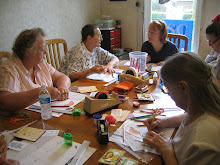 Participants may decorate end papers to match in class or use decorative paper. 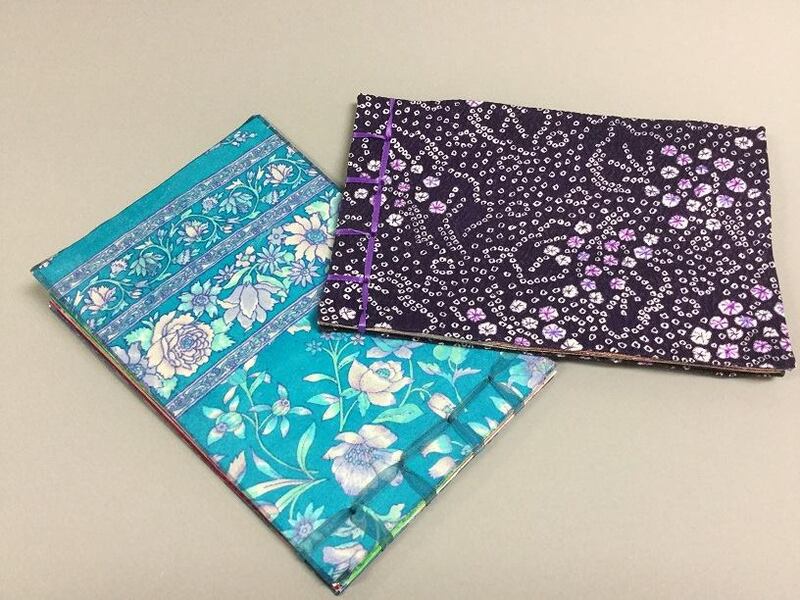 Please BRING YOUR OWN FABRIC, at least 14” wide by 10” long (for one notebook). Barb will be bringing fabric from used saris, kimonos and African batiks purchased in Accra, Ghana. These will be available to purchase for use in the class. Matching ribbon will be included with this fabric. If anyone wishes to have ribbon matching their own fabric, please bring 1 yard of ribbon that is 1/8” to ¼” in width. There is also ribbon available for sale at the shop. Barb will also have some polyester ribbon in her paper box for participants to use. 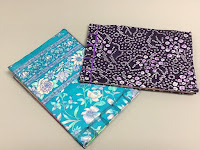 Everyone will bind ONE notebook using the Noble stitch. 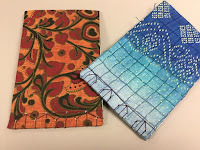 Barb will also demo the Hemp stitch, and anyone who has the time may bind a second notebook. Please bring your lunch or a snack with you.